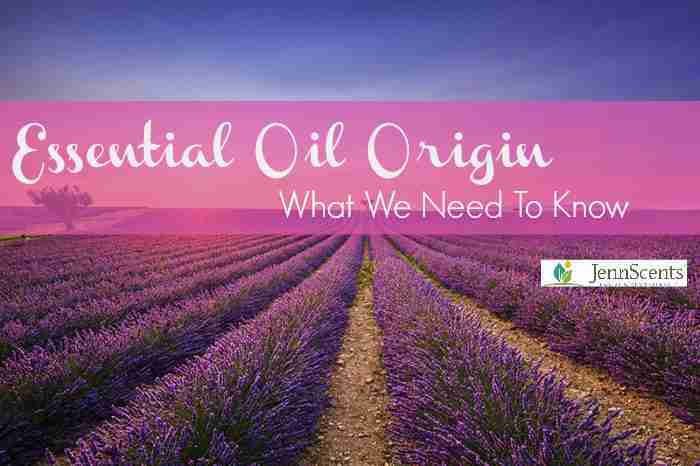 Essential Oil Origin - What We Need To Know - JennScents, Inc. I was recently asked if the origin of an essential oil matters and if someone could grow any plant in their backyard, distill it and make their own essential oils. Also, is organic an absolute must or can a wild-crafted essential oil produce similar, or sometimes better therapeutic properties? I will share my personal “two cents” on this topic, knowing that there are many schools of thought. To start the dialogue let me begin by saying that these are not quite easy yes or no answers. When I first began my natural health journey in 1999, I was introduced to essential oils. I had my own herbal garden that I tended to everyday and made herbal teas and tinctures. I thought that since I grew my own plants that I would be able to distill them and make my own essential oils. I did a little more research and found that there are many factors that need to be considered in order to produce a good-quality essential oil. It wasn’t only that organic farming was a must, but that the proper farming practices, climate, geographical location and soil were needed. Simply put, origin of the plant matters, but certified organic is not always an absolute must for all essential oils. It’s necessary to look at the bigger picture. Here’s an example. Lavender grown in high altitudes of France will produce a different quality and chemistry (remember chemistry dictates property strength) than Lavender being grown in the United States of America, say Florida. I have many friends who do grow, harvest and distill certain essential oils in the U.S.A., but not all of their essential oils. The bottom line, it is important to know how the essential oils you choose are grown, farmed, harvested, processed and manufactured. This will give you the confidence to know what is in the EO’s you choose to use, their composition and the anticipated results they have the ability of delivering. Certain species require certain growing conditions, so botanical names will vary. Sometimes a wild-crafted, non-organic farm will produce a more pristine essential oil than a certified organic farm. Considering, basic harvesting practices of a plant are very important when it comes to potency and purity. The potency and purity will dictate the level of therapeutic properties you will get out of that particular oil. Certain species of plants need to be grown at a certain altitude, with certain humidity, soil pH, hydration level, temperature (better in full sun, partial sun or full shade and need to harvested at a certain time of day). Some farmers (even non-certified organic farms) take that a step further and follow bio-dynamic farming practices which include more in-depth holistic, ecological and ethical approaches to harvesting and sustainability. They follow stricter farming standards from fertility to crop rotation, irrigation methods, EMF reduction and weed and insect control that meets environmentally safe guidelines. The standards are what can produce a high-quality essential oil. Another layer to consider with the increased popularity of essential oils, is the aromatherapy market has been targeted by GMO supporters since it is one of the fastest growing segments in the natural health marketplace. David Crow presented a wonderful webinar for the National Association of Holistic Aromatherapy (http://naha.org/bookstore/the-ecological-future-of-essential-oils) on the ecological future of essential oils. He shared that the aromatherapy industry is starting to see a new breed of essential oils surfacing in the marketplace called transgender oils. You won’t see them labeled as such but they do exist. These are genetically modified plants grown for the specific purpose of producing a “pure essential oil”. I use quotation marks to emphasize, they really are not pure, just perceived to be pure. The problem is that when gas chromatography testing was completed on these genetically altered plants, it showed all of the chemical constituent’s present (science manipulation), however, it is not really pure (meaning unaltered, unadulterated and straight from God’s ground). So what do you do? For some, this information is overwhelming and a trust factor sets in. I feel it is important to know the supplier you choose to purchase from. It is helpful to understand their philosophy, the relationship they have with their farmers, who harvests the material, production methods and their education ethics. I’ve worked with the same suppliers for almost 15 years. As an Aromatherapy Institute, I have had many students share with me essential oils they have purchased online or in a store. They ask me what I think. I reply by letting them smell my essential oils. Their own nose answers their question, hence the saying “your nose knows.” The nose overrules the eyes, meaning scent can dictate the truth, not always what is written on the label. In your article, you stated that the bottom line, it is important to know how the essential oils you choose are grown, farmed, harvested, processed and manufactured. My wife has been coming home from work very stressed lately and just needs something to help calm her down. Are there certain essential oils or aromatherapies that might help someone with constant headaches and stress? Hi Derek, many of your floral and spice oils will help with stress such as geranium, lavender and chamomile. For headaches, I find camphoraceous oils to work great. However, you need to “define” what kind of headache she is experiencing. If your head feels like it is being squeezed in a vice, that is an indication that blood vessels may be constricted, thus essential oils that have dilating properties would be best, such as rosemary and thyme. If it feels like her head is exploding, blood vessels may be too dilated, thus choosing essential oils with constricting properties such as lavender, marjoram and peppermint (I have found peppermint to help with both vasodilative and vasoconstrictive headaches). If it is a tension headache emanating from her shoulders, anti-inflammatory and muscle relaxing essential oils are best such as frankincense and Roman chamomile. I always appreciate when people share helpful articles. Some facts, essential oils can help kill bacteria and viruses, fight infection, relieve allergies and alleviate anxiety, stress, depression, fatigue and poor memory.